remove DOF, just pull, or reduce. Actually I’d say just pull because you don’t need it. Also very unsure about composition, I understand horses to left and pathway leading into shot but giant blurred DOF, no payoff really. 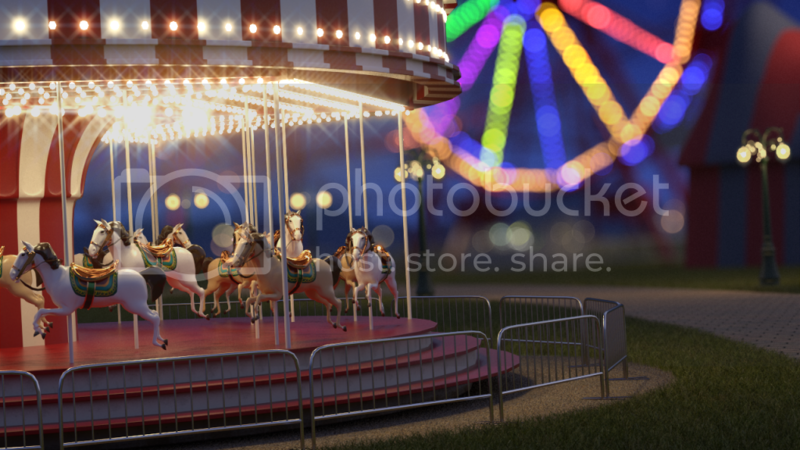 I’m a bit unsure about where the emphasis of the shot is, whether it is the merry go round or if it’s carnival, if it is the merry-go-round, I’m unsure about composition then. sky looks like it needs more gradation, from lightblue to darkblue, can’t tell. 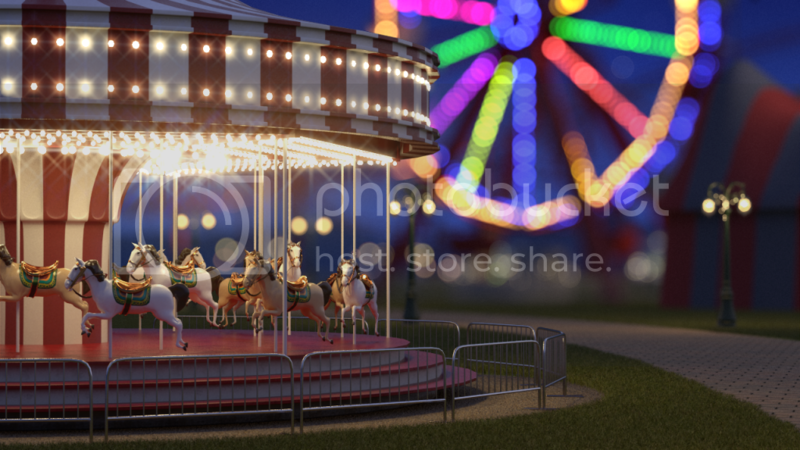 besides that, play with color pallette more, instead of going crazy with ferris wheel colors try applying that to merry go round. play with a few different camera angles. @tarnishoar I actually love the scene Its like a miniature set. I don’t know if thats what your going for but its really cool. Id love to see a little more variation in the grass maybe some spotting. Maybe push some more small details to sell that miniature look would be awesome. Lighting is very nice. I agree. There is no single subject on focus which makes the composition confused. I had tried a few other camera angles before with some close-ups on the carousel. Maybe that could work. Usually a bokeh works only when there is a subject close to the camera. I chose this camera angle so that I could show more of the environment. I got the same “miniature looking” comment from another friend. I didn’t intend to make it look that way. But if it looks appealing to you, that’s purely by chance. I could perhaps try another camera angle with the carousel closer to the camera. The grass looks flat I agree. Will add some variation in blade length and light. Have a Good, Blessed New Year!!! Been a while since I’ve participated in a lighting challenge, I miss you guys! Had some down time at work today and decided to take a stab at the old eyeball challenge. I think this is the first one I ever did way back in like 2006? 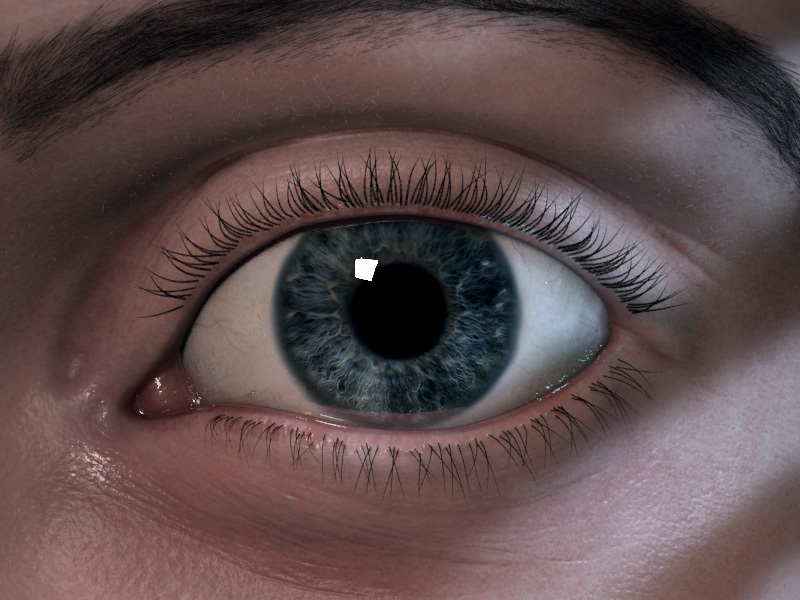 Max, ZBrush, Vray, Hairfarm and Photoshop. I have completed this a while ago but I thought it would be great to get some feedback on it. I added a skull model other wise the scene is pretty much the same. If you click the download button it will open a bigger image in a separate window. 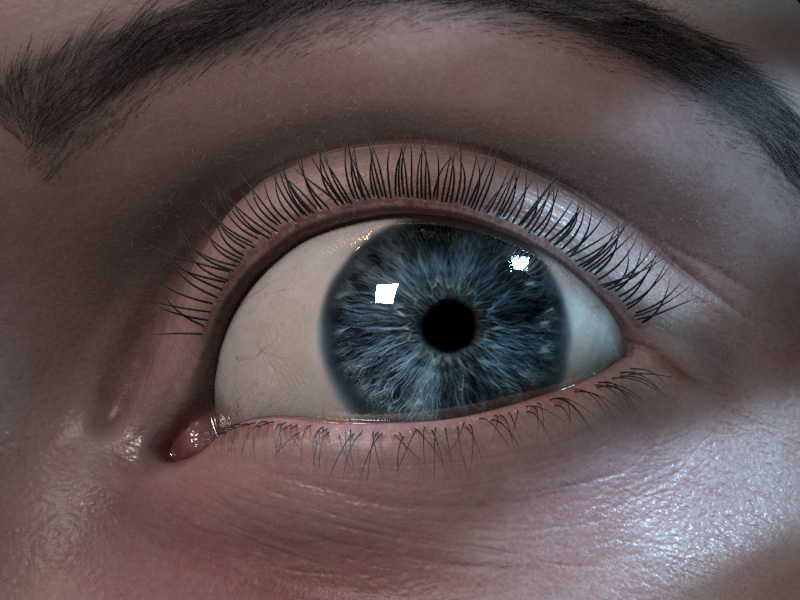 I am completely new to cg society. Please anyone guide me that how can i participate in lighting challenges. 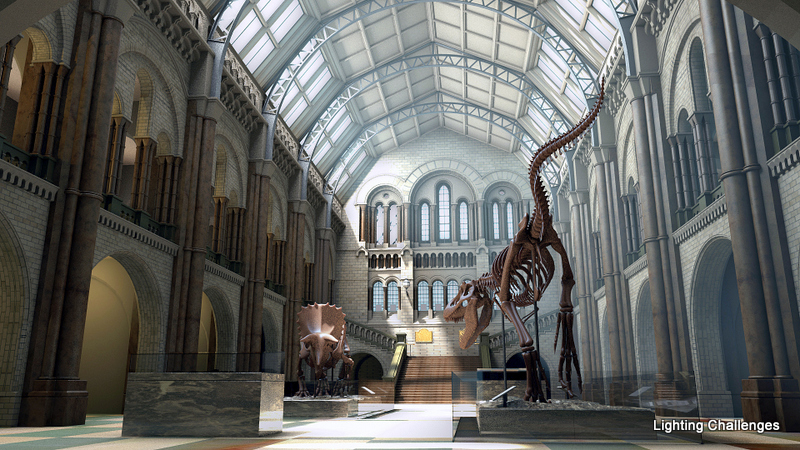 Can someone be kind enough to re-upload the MAYA scene file for Lighting Challenge #27: 52 Main St. ? Wanted to give this a try but i am not able to download the file from the original thread. Thanks in advance. Unofrtunatly I dont’ have in my archive folder. Pls can anyone upload it ? Still need this? If so, send me a PM. Sent the files over to you. Looks like none of the old challenges are posted…Can’t seem to get ahold of challenge 28 to the recent one because I wanted to work on those over the summer.